Where did the sun come from? April 15, 2009 Adri H.
All of the sudden trees have leaves, the sun is shining, and it is warm outside. The weather, wondrous temptress that she is, lures me outside to sit in the sun and soak up the warmth of these first real Spring days. 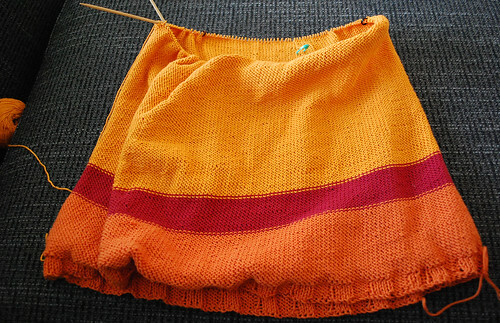 In other words, here are some updates on my progress with the mini-dress and other projects.